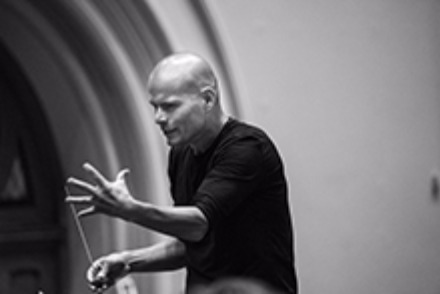 GINASTERA Estancia: Four Dances, Op.8a | As if being principal percussionist of the Tasmanian Symphony Orchestra weren’t enough, Gary Wain is also a conductor and a composer — and this year, he’s one of National Music Camp’s tutors as well. He’s played Ginastera’s Estancia dances himself a number of times, and understands the challenges and delights of the work. VAUGHAN WILLIAMS Fantasia on a Theme of Thomas Tallis | ‘People just love this work,’ says violist Patricia Pollett, ‘with its combination of the beautiful Tallis theme, the influence of Ravel and use of modal language, all tinged with a strong sense of nostalgia.’ She is discussing Vaughan Williams’ Fantasia on a Theme of Thomas Tallis. Venezuelan conductor Dietrich Paredes grew up as part of a musical revolution in his homeland. One of an estimated 700,000 young musicians to join a state-subsidised music education program, he experienced orchestral music as a social development strategy. Its effectiveness has been documented in numerous international studies. The Fundación Musical Simón Bolívar, nicknamed ‘El Sistema,’ is a radical approach that includes an early introduction to Russian repertoire. It was here that Dietrich first encountered Shostakovich and his remarkable Symphony No.5 in D minor.